Steering away from auto related topics, I thought I’d focus attention back onto feet, or more precisely, how we protect and adorn them. Cheryl Wischhover’s piece on extreme footwear has been a very popular contribution to this blog. This time however, I’m not aiming for high fashion, or anything so radical and impractical as those creations she delightfully entertained us with in December ’09. 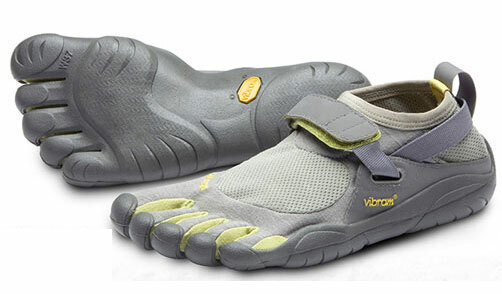 Still, the FiveFingers ® range from Italian rubber sole maker Vibram ® could not be categorised as conventional. I’ve been running for most of my adult life. For me, fitness is not the sole motivating factor. When I run, I learn to appreciate my surroundings. Each new place in the world I visit, I make a point of running there. Wherever I run, I take time to tune into my thoughts. As a method of meditation, nothing comes close. At least not for me. Humans are preternatural endurance runners. We loped along barefoot for most of our evolutionary history, and only in relatively recent times did we start covering our feet to protect them. 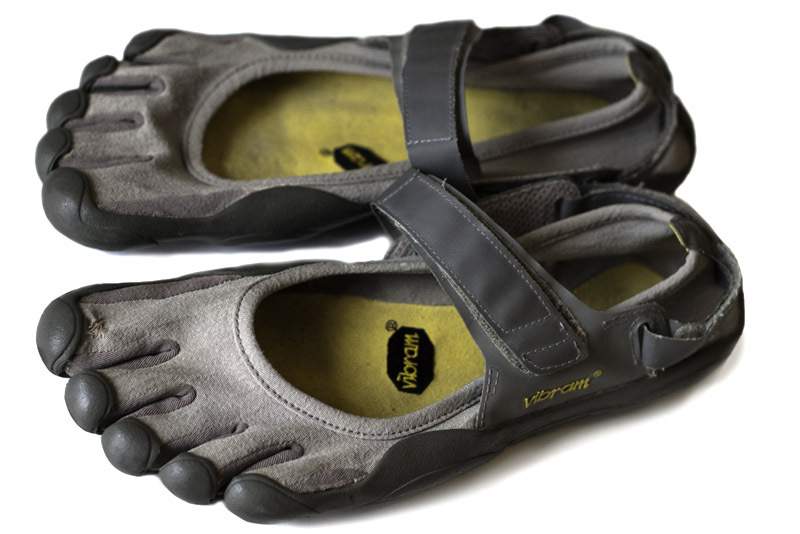 Recreational running spawned an industry in the early ’70s, and today we spend billions on the latest sports footwear. Each shoe is the offspring of many R&D hours, and integrates advanced cushioning and support technologies with 21st century materials. Yet the new thinking tells us they are ruining our feet. Evolution has provided us with the optimum hardware for running. We should be barefoot, with the minimal material required to armour us against harsh surfaces. 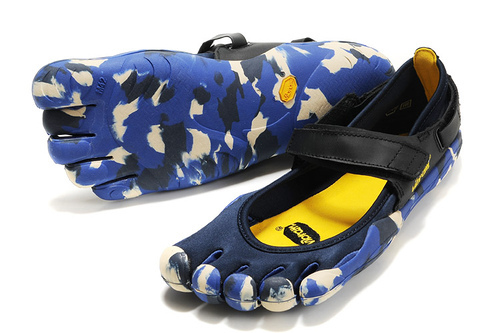 My new Vibrams perform this function with aplomb. It’s early days. 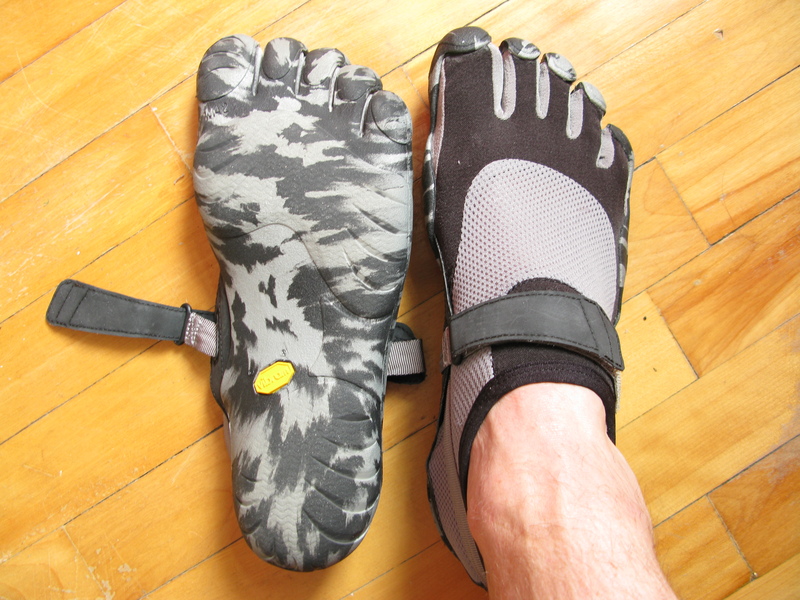 I’m making a careful transition via a pair of more conventional lightweight flat racers, then on to the FiveFingers. I’ll keep you posted. You crack me up. You spend time telling the world how we were designed to be barefoot, then go on to try to sell some shoe. If you wish to be healthy, do as nature intended, be barefoot. Don’t pay 60, 80 a hundred bucks for something that imitates being barefoot. That’s just plain silly. I’ve lived a barefoot lifestyle for over 20 years and find ads such as these ridiculous. Science is finally coming around to something I learned years ago. I’m healthier without shoes than with them. 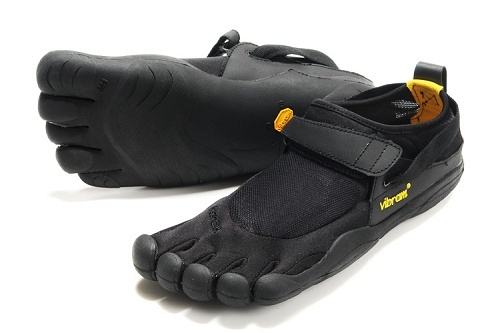 You Vibram folks leave me shaking my head in amusement. It must be tough being perfect mate. Keep enjoying the running, go in peace. Even the Tarahumara wear sandals when they run – I think the barefoot movement is a lot more about not having overly constructed padded footwear than any literal interpretation. Would love to give these a go.